It is common amongst medical students to feel apprehension and uncertainty in the clinical environment. It can be a daunting setting, where medical students can sometimes feel as if they are firmly rooted to the bottom of the pecking order. However, there are many ways medical students can contribute to their respective healthcare teams. Whilst students are not able to formally diagnose patients or prescribe medications, they remain an integral part of the healthcare landscape and culture. The step from being ‘just’ a medical student to being a confident, capable medical professional is a big step to take, but an important one in our development from the textbook to the bedside. 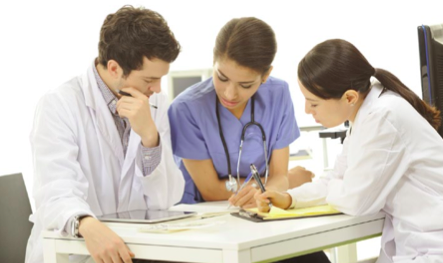 By being proactive and committed, students can be of great help and achieve improved outcomes in a clinical setting. Through this editorial we hope to illustrate several methods one can employ to ease this transition. When faced with the clinical environment, most medical students will have some form of reservation regarding various aspects of clinical practice. Some of the concerns listed in the literature revolve around being accepted as part of the team,  fatigue, [2, 3] potential mental abuse, [4, 5] poor personal performance and lifestyle issues. [6, 7] These points of concern can mostly be split up into three parts: concern regarding senior clinicians, concern regarding the clinical environment, and concern regarding patient interaction. Practicing clinicians hold the key to effective medical education and their acceptance of medical students is often crucial for a memorable learning experience. Given the hierarchical nature of most medical organisations, senior clinicians being the direct ‘superiors’, are given the responsibility of assessing students. Concerns regarding the clinical environment refer to the demands on students during clinical years, such as on calls, long hours, early starts and the pressure to gain practical knowledge. Anecdotally, it’s common to hear of medical students becoming consumed by their study of medicine and rarely having the time to pursue other interests in life. Patient-student interaction is another common source of anxiety, as medical students are often afraid to cause harm to real-life patients. Medical students are often encouraged to perform invasive practical skills (such as venipuncture, intravenous cannulation, catheterisations, suturing, invasive clinical exams, nasogastric tube insertion, airway management, arterial blood gases) and to take sensitive histories. We have the ability to physically or psychologically hurt our patients, and Rees et al. 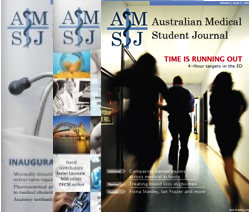 have recently reported the performance of intimate examinations without valid consent by Australian medical students. This has to be balanced against our need to learn as students so that we avoid making errors when we eventually enter clinical practice. These are all pertinent points that have to be addressed to ensure that the average medical student can feel comfortable and contribute to the team in an ethical manner. Despite the concerns of medical students regarding the attitudes of clinicians, allied health professionals and patients towards them, most actually take a positive view on having students in the clinical environment. Most studies have shown that the majority of patients are receptive to medical students and had no issues with disclosing personal information or being examined. [9-11] In particular, patients who were older and had prior admissions tended to be more accepting of student participation in their care. [9, 12] These findings were consistent across a number of specialties, even those dealing with genitourinary issues. On a cautionary note, students should bear in mind that a sizable minority of patients prefer to avoid medical student participation, and under these circumstances it is important to respect patient autonomy and refrain from being involved with their care. Graber et al. have also reported that patients are quite apprehensive regarding having medical students perform procedures on them, particularly more invasive procedures such as central line placement or lumbar puncture. Interestingly, a sizable minority (21%) preferred to never have medical students perform venipuncture,  a procedure often considered minor by medical professionals. It is a timely reminder that patient perspectives often differ from ours and that we need to respect their opinions and choices. As aspiring medical professionals our primary objective is to actively seek ways to learn from experienced colleagues and real-life patients about the various conditions that they face. Being a proactive learner is a crucial aspect of being a student and this in itself can be advantageous to the clinical team by sharing new knowledge, promoting academic discussion or as a source of motivation for senior clinicians. However as medical students we can actively contribute to the healthcare team in a variety of practical ways. These methods include formulating a differential diagnosis, assisting in data collection, preventing medical errors and ensuring the emotional well-being of patients. These are simple yet effective ways of fulfilling one’s role as a medical student with potentially meaningful outcomes for patients. Physicians in clinical environments are notoriously limited with time. Average duration of consultations may range from eight to nineteen minutes, [22-24] which is often insufficient to take a comprehensive history. There are also a range of administrative duties that reduce patient interaction time, such as ordering investigations, filling out drug charts, arranging referrals or finding a hospital bed. [25,26] Mache et al. [25,26] have reported that pediatricians and surgeons spent up to 27% and 21% of their time on administrative duties and documentation. Medical students tend to have less administrative duties and are thus able to spend more time on individual patients. Medical students can be just as competent at taking medical histories or examining patients, [27,28] and they can uncover crucial pieces of information that had gone unnoticed, such as the presence of a ‘Do Not Resuscitate’ order in a seriously ill patient. Students are also often encouraged to try their hand at practical skills such as venipuncture, history taking or clinical examination, all of which saves physician time and contribute to the diagnostic process as well. In other countries, such as the United States, student-run medical clinics play a crucial role in the provision of affordable healthcare. [42- 45] These clinics number over 120 across the country and have up to 36 000 visits nation-wide. In these clinics, students from a variety of disciplines (such as medicine, nursing, physiotherapy, dentistry, alternative medicine, social work, law and pharmacy) collaborate to manage patients coming from disadvantaged backgrounds. Whilst this concept is still an emerging one in Australia (the first student run clinic was initiated by Doutta Galla Community Health and the University of Melbourne this year, culminating in the REACH clinic – Realising Education, Access and Collaborative Health),  there has been a strong tradition of medical students being heavily involved with health promotion projects in their respective local communities. It is not uncommon to hear of students being actively involved in community health promotion clinics, blood donation drives or blood pressure screening,  all of which have practical implications on public health. Through modifying our own health behaviours and active participation in local communities, students can have a tangible impact and influence others to lead a healthier lifestyle. Whilst medical students should actively participate and be an integral part of a medical team, care must be taken to not overstep the professional boundaries of our role. It is always important to remember that our primary aim is to learn how to care for patients, not to be the principle team member responsible for patient care. There have been several ethical issues surrounding the behavior of medical students in clinical settings in recent times. A prominent example of this is the lack of valid consent whilst observing or performing intimate examinations. This report by Rees et al. generated widespread controversy and public outrage. The study showed that most medical students complied with the instructions of more senior clinicians and performed sensitive examinations without explicit consent, sometimes whilst patients were under anaesthesia. There were a variety of reasons leading up to the action, ranging from the lack of similar opportunities to the presumed pressure from supervising doctors. This is not a new issue; a previous study by Coldicott et al. had also highlighted this as a problem. As emerging medical professionals we must avoid getting carried away by the excitement of clinical practice and ignore the vulnerability of our patients. The clinical environment offers medical students limitless potential to develop their clinical acumen. As medical students we have the opportunity to participate fully in all stages of patient care, from helping formulate a diagnosis to proposing a management plan. Holistic care for our patients goes beyond the physical aspect of disease and medical students can play an important role in ensuring that the psychosocial wellbeing of patients is not ignored. Our impact is not just restricted to a hospital setting; we are only limited by our imagination and determination. By harnessing the idealism unique to medical students we are able to come up with truly inspirational projects that influence local or overseas communities. Through experiencing a full range of clinical scenarios in different environments we can develop a generation of doctors that are not only clinically astute, but also well- rounded individuals with the ability to connect to patients from all backgrounds. As medical students we have the potential to contribute in a practical manner with tangible outcomes, and we should aspire to that as we make the fifth cup of coffee for the busy registrar on call. Michael Thompson for his feedback and assistance in editing draft manuscripts. Where to from here for Australian childhood obesity? Spontaneous regression of cancer: A therapeutic role for pyrogenic infections? Student-led malaria projects – can they be effective? Doctors’ health and wellbeing: Where do we stand? Bring back the white coats?